Hey it’s Frank! Hi Frank. Your right that is Frank. How you doing Frank? Why are you wearing that stupid mas suit? What’re you guys doing out in the middle of the road, huh? What’re you THINKING?! Twenty-eight days… six hours… forty-two minutes… twelve seconds. That… is when the world… will end. I finally saw that last month. What a freaky movie. They’re making a sequel about Samantha as a teenager. 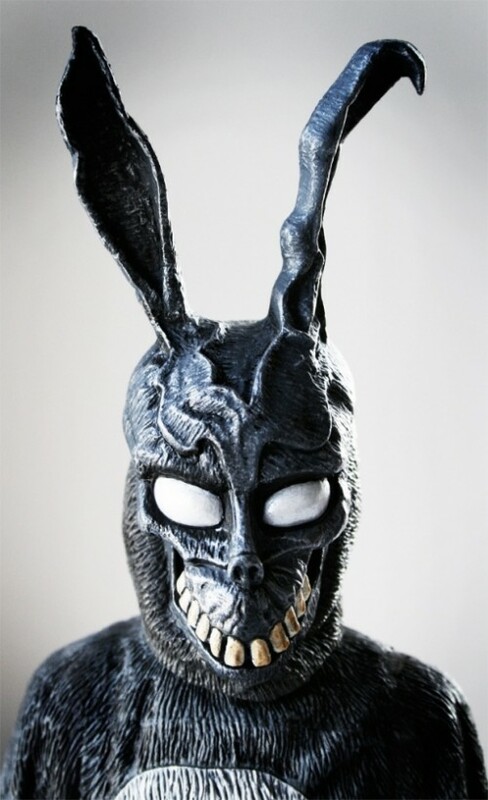 Donnie Darko was one of those movies that as soon as it ended, I watched it again. My favorite scene in the entire movie. I didn’t like this movie *at all* until about two weeks after I watched it. I personally hate (a lot) the emo cover of “Sad World” which made me 10x more cranky about the movie. One of my favorite movies, I don’t care if people think it’s overrated. I love it.